Wind-resistant with maximum breathability. 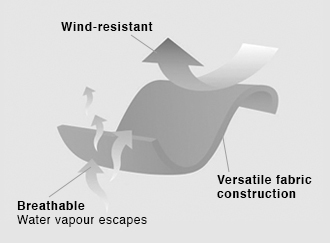 Our wind-resistant construction forms a lightweight but sturdy barrier against the harshest gales. Engineered for a wide range of activities and weather conditions, these fabrics are so comfortable and versatile, they often become favourite everyday outdoor garments as well.